Earth Day is a day dedicated to honoring the earth and its valuable resources. It is designed to inspire awareness and appreciation for the Earth’s environment. Officially Earth Day, which is dedicated to ‘celebrate’ and raise awareness is today, GOING GREEN is something to be aware of EVERY DAY! ~GOING GREEN~ is not only for the EARTH! You are OF and connected TO the earth. Not only are YOU a valuable resource on this planet but you have valuable resources you can access. Do you honor yourself as a valuable resource on a daily basis? As you turn your attention within you are becoming more aware of who you really are. When you allow your valuable energy to flow through you and let go of all that is not, you create tremendous growth and change for yourself. The more often you do this, the more you are growing and expanding your awareness. 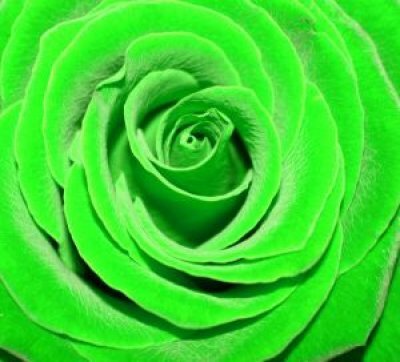 Did you know that when you are creating change and growth in your life, your AURA actually turns GREEN! It’s true! Much like the trees begin to bud in the spring, you are budding with new growth. And with this new growth comes a change in the landscape! So are you ~GOING GREEN~ these days? One way to find out is to ask yourself; How have you been treating your body, spiritual and physical environments? Just as you honor the earth, you must honor your own environments. Take a moment to check in with yourself and the space around you. Are you eating healthy foods, caring for and giving to your body? Are you taking time in your daily life to nurture your spirit by allowing yourself just to BE? Is your physical space clean and in order? If you notice things are messy and out-of-place in your physical surroundings; It is a sign! If you don’t feel good; It is a sign! If you find your attention on everything and everybody except YOU…THAT’S A SIGN! All those ‘signs’ are indicators that maybe it’s time to do a little clean up. You may have picked up some negativity or toxic energy so get out the hazardous materials suit and begin cleaning out any waste that may have accumulated. Throw out and let go of the garbage you’ve been responsible for carrying around merely because you weren’t aware it wasn’t yours! Once you’ve cleaned things up a bit, it’s time to shine it up! Take a deep breath, bring your attention back to you and feel your connection with the earth. Then allow the biggest, brightest most illuminating sun you can imagine to shine on you! Debra is a clairvoyant reader, spiritual healer, coach and teacher helping people heal their spirit so they can create and live the life they choose. She has been a featured guest on Wings of Love and Visible by Numbers radio broadcasts. For more information or to schedule a reading please send an email to Debra@Spiritlightinsight.com or visit her website. Previous Post You are a PRICELESS GEM! Next Post Have you found your “V” spot? It’s a beautiful and very interesting Blog Post! Keep going with your beautiful inspiration! With all my Heart and from My Soul. Much love, light and hugs Linda!